We are closed on all major holidays. For holiday hours, please see our website. We will send out email announcements about any special closings, change our phone greeting to announce the change, and post the information on our doors. After you have read the relevant sections of our website that pertain to your health issues, and have read “What is Integrative Medicine”, our “FAQ’S”, and this document, please click on the “Become a New Patient” button to send us your information and request an appointment. After we receive your appointment request, within 2 business days we will contact you to set up your new patient appointment, answer any additional questions, and collect 50% refundable deposit to hold the appointment. We will also send you an invitation by email to sign up for our electronic medical records system, ChARM, so that you can fill out your new patient medical history intake forms online. Fill out all the relevant forms in your ChARM portal no later than 7 business days prior to your first appointment. This is extremely important and may result in canceling your appointment, and forfeiting your deposit if this step is not followed. The forms will be sent to you at the time of scheduling your appointment. Also, upload any recent (last 6 months) labs and relevant medical history notes and a complete list of every medication and supplement you are taking (including doses in milligrams) into your ChARM portal. It is imperative that your provider is able to review your ChARM intake forms prior to your visit. Payment is due at the time that services are rendered. Cash, check, and credit cards are accepted (Visa, HelpCard, MasterCard, Discover and Care Credit). There is a $25 charge for returned checks. A statement or receipt that you can submit to your insurance company will be provided at each appointment. Nutritional supplements are generally not covered by regular insurance, but may be covered under certain medical savings account plans. Patients are responsible for remembering and coming to their scheduled appointments on time, but we will give you a courtesy reminder in advance of your appointment. Your scheduled appointment means that no one else can be seen at that time, so if you know that you cannot make it, please let us know prior to 48 business hours before your appointment to avoid a cancellation fee. If you no show, cancel, or reschedule your regular follow-up appointments less than 2-days (48 business hours) before the appointment, 50% of the appointment fee will be charged to your credit card on file as a cancellation fee. 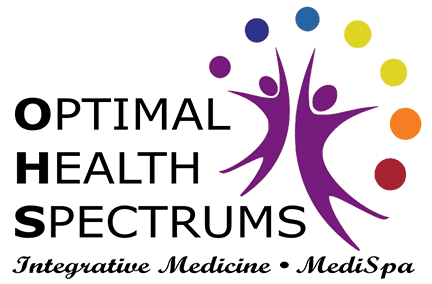 After you have read the relevant sections of our website that pertain to your health issues, and have read “What is Integrative Medicine”, our “FAQ’S”, and this document, please click on the “Become a New Patient” button to send us your information and request an appointment. After we receive your appointment request, within 2 business days we will contact you to set up your new patient appointment, answer any additional questions, and collect 50% refundable deposit to hold the appointment. That deposit will be applied to your appointment fee at the time of your appointment. We will also send you an invitation by email to sign up for our electronic medical records system, ChARM, so that you can fill out your new patient medical history intake forms online. Fill out all the relevant forms in your ChARM portal several business days prior to your first appointment. The forms will be sent to you at the time of scheduling your appointment. Also, upload any recent (last 6 months) labs and relevant medical history notes and a complete list of every medication and supplement you are taking (including doses in milligrams) into your ChARM portal. It is imperative that your provider is able to review your ChARM intake forms prior to the day of your visit. If you no show, cancel, or reschedule either of your scheduled first two appointments less than a full week (7 days) before the appointment, 50% of the appointment fee will charged to your credit card on file as a cancellation fee. We are open 9:00 – 12:00, and 1:30 - 5:00 Mondays, Tuesdays, and Thursdays; Wednesdays 9:00 – 12:00, and 2:00 – 5:00, Friday's 9:00 -12:00 and 1:30 - 4:30. We are closed on all major holidays. For holiday hours, please see our website. We will send out email announcements about any special closings, change our phone greeting to announce the change, and post the information on our doors. What is the new patient cancellation policy? In order to ensure that we have room in our schedule for all our patients, we have a 7-day cancellation policy for all new patient appointments and the first initial follow-up appointments, due to the extra length, complexity, and importance of these first two appointments. New patients will be asked for a credit card deposit of 50% of the appointment fee when scheduling to hold the spot. That deposit will then be applied to your appointment fee at your check-out. If you cancel or reschedule less than a week (7 days) prior to your new patient appointment, you will forfeit your deposit as a cancellation fee. Patients are responsible for remembering and coming to their scheduled appointments on time, although we will give you a courtesy reminder in advance of your appointment. All new IV Nutrient patients are required to make a $50 deposit to hold the appointment. This deposit will then be applied to the cost of your first IV when you get it. If you are not cleared for the treatment or decide against any treatment, the deposit will be used for your consultation with our practitioner. * Please note that this process only clears you for IV nutrient services. For all other health concerns, you will need to schedule a New OHS Patient appointment. New MediSpa patients are required to make a $50 deposit to hold their initial appointment. At the first appointment, the deposit will be applied toward the cost of your first MediSpa treatment. If you are not cleared for the treatment or decide against any treatment, the deposit will be used for your consultation with our practitioner. Patients are responsible for remembering and coming to their scheduled appointments on time, although we will give you a courtesy reminder in advance of your appointment. If you no show, cancel, or reschedule a MediSpa appointment less than 2-days (48 business hours) before the appointment, your credit card will be charged a cancellation fee of $100 for all appointments in the MediSpa. We offer appointments in many different time increments to meet your needs. We will estimate the amount of time needed. If the appointment runs longer than the scheduled time, we will charge for the additional time, since that is impinging on someone else’s appointment time. Please arrive a few minutes early for your appointments for any additional paperwork. We know that your time is valuable, and we appreciate your efforts to come to your appointments on time to help us stay on schedule, and likewise, we do our best to stay on schedule whenever possible while still providing good care to every patient. At your follow-up appointments (in person or over the phone) you will receive a copy of your lab results. At that time we will carefully review your results with you and explain to you what they mean. All treatment decisions based on your lab results and current symptoms will be made at these appointments. Please do not request your lab results in advance of the appointment, as experience has shown us that this often generates anxiety and questions to our staff that need to be addressed at the appointment. There must be at least one in-person appointment per year to remain an active patient. PPO insurance plans may partially reimburse in-person appointments and lab tests, but phone appointments are usually not reimbursable. Medicare patients may not submit their bills to Medicare because we are not a Medicare provider. We strive for a toxin-free office for the health of our patients and staff, and request that you refrain from wearing perfume or any other scented products (including deodorants and lotions) when you come for your appointments. You should keep an updated medication and supplement list and bring it to every appointment, with doses listed in milligrams. We will provide a form for you to fill out. Doing this is an essential double check at each appointment to make sure that you are taking everything correctly. Our lab facility is comfortable and inviting, and we offer specialized, personalized lab services. Our staff are experts in humanely performing difficult adult and pediatric venipunctures, and has extensive experience with accurately handling complex specimen processing. When blood is drawn and processed in-house for shipping, the cost is based on the complexity of the blood draw and the subsequent specimen processing time. The blood draw and processing fees may range from $60 to $360. The cost for the laboratory to actually perform the ordered tests on the lab specimen is in addition. Our clinical lab staff is also proficient in all aspects of intravenous therapies. Our I.V. prices are based on the ingredients in the I.V., plus the staff time in monitoring the I.V. and generally run $125-$350. In-office injection fees (Vitamin B12, Vitamin D, Testosterone, etc.) are $35. Blood draws and I.V.’s are performed by appointment only, so that there is minimal wait time for our patients. For paperwork including writing letters, reports or filling out forms, the average cost is $15-$30, depending on time. Complex composition of letters will be more. Please fill out everything you can on a form before submitting to us. If you are requesting a special letter from the doctor, we request that you write a rough draft of the letter that you need. We will edit the letter, sign it, and return it to you for less cost. Please allow 48 business hours for all prescription refills. All patients must be seen in-person at a minimum of once per year, to continue to receive treatments of any kind at our office, including supplement or prescription refills, or ordering any tests. Depending on the health situation of the patient, more frequent appointments may be required in order to continue to receive treatments, for safety. Please call the main number to speak to our staff about setting up or changing an appointment. Staff can only answer administrative questions and cannot give medical advice or interpret lab tests. Established patients are welcome to securely message their provider with brief, simple questions in ChARM between appointments. If a patient is having many issues or questions, it may require an appointment to review them and modify the treatment plan accordingly. Sensitive or personal questions should be answered in person at an appointment. Parents are responsible for their children’s safety, behavior, and whereabouts at all times while in the clinic. Clinic staff is unable to monitor or supervise children during appointments. In situations of separation or divorce, additional treatment consents may apply for the non-custodial parent, and both parents may be required to attend appointments, either in person or over the phone. We do not tolerate any form of abusive behavior in this office. If a patient is physically or verbally abusive to a staff member, they will be excused from our practice. Likewise, our staff must treat patients with respect at all times. If you have a problem with anything in our office, please calmly let us know and we will do our best to resolve it. Patient satisfaction is a high priority to us. To contact Dr. Mielke or our Nurse Practitioner on an emergency basis only after regular business hours, call the main number and follow the prompts from the recorded phone system to page your practitioner. This is not to be used for prescription refills or other non-urgent issues that can wait until the next business day. All information will be kept confidential, except where required by law. If needed, with your written permission, we will communicate with your primary care doctor or other providers about your treatment here. I understand that the wellness-oriented treatment that I receive at this clinic does not replace my primary care doctor, and agree to continue seeing my primary care doctor while in treatment here. For a true medical emergency call 911, or go to the nearest emergency room, or contact your primary care physician. I have read the above information in the “Practice Policies” document. I understand and agree to these terms and conditions as a patient at this clinic.